After months of planning for my wedding and adjusting to a new job, Styl’d by Grace is back in full swing. During the past few months, there have been many life changing occasions which include my marriage to the love of my life, Edward Palma, living on my own for about a month (Edward moved in after the wedding), and being given a great design opportunity (a.k.a. a much needed and welcomed job). God has come through in more ways than I could’ve ever imaged. He is faithful in everything! And that’s an understatement. Stepping into adulthood is not as easy as I imagined when I was younger. Every step of the way requires faith and trust in God. I believe one of the things we neglect to add to the list of requirements is joy. If we learned to rejoice in every moment, even the moments that aren’t as pleasant, we would see the journey in a different light. While planning our wedding, it was difficult for me to find joy in the process. I commend wedding planners because it is a very stressful task. Time and time again I was advised to “take in every moment”, to “make the best of this time”, to “enjoy the planning”. There were times when we had no idea how we would pay for the wedding, but we trusted God and prayed fervently for every need to be met. However, there were a lot of details that had to be compromised in order to be frugal and wise with our finances. Those were the moments when I found joy… I say that I “found” joy, because many times joy isn’t going to be something you feel. Joy, I would like to propose most times, will be something we have to find or choose to have. In reality, when I think back on our wedding day, the details did bring me happiness. It was a magical day in a magical place. There were things that didn’t go as planned as well. But we found joy from the intangible: the people who helped us make it happen, our families happiness and support, and the immeasurable love we felt from every person there. We found joy! The joy that you find verses the joy that you feel is very different. The joy you feel can be described as excitement, happiness or butterflies in your stomach. The joy you find is an unspeakable joy, you can’t describe it. It’s supernatural and it is invigorating to the soul. Every morning Edward wakes up early to head to work and I wake up with him to fix breakfast and his lunch. If you know me well, you know I am NOT a morning person. I don’t like talking until I am fully awake. It’s the way I’ve always been. But Edward wakes up SO happy, no matter how early, no matter if he had a good nights rest or not. Lately, I haven’t really been sleeping much. Edward moves a lot while sleeping and I’m a light sleeper. (What are the odds?) I am so tempted to wake up and be upset for not sleeping long enough and well enough. But I choose joy… my household’s peace and well being depends on me choosing joy. I can either wake up with an attitude and make my husband’s day start badly or I can wake up joyful and infect him with it. 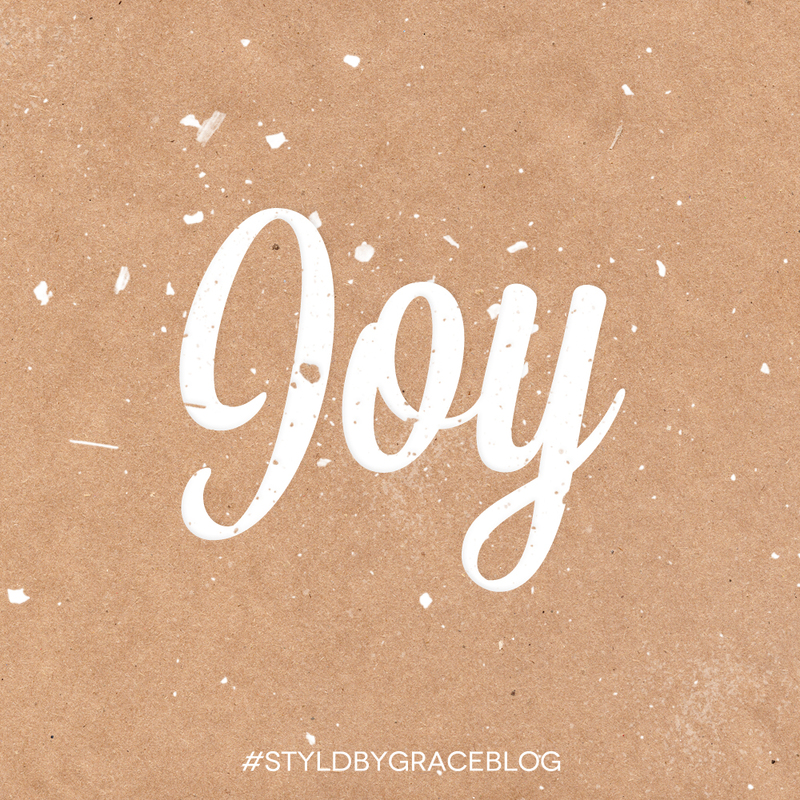 Choosing joy is infectious and it can determine how you will impact the people around you. My example of choosing joy might not be as deep or serious as some of the things others may be facing. However, in every situation, through every hardship and struggle, God’s unspeakable joy can be found and us choosing joy can draw other to Him. God desires for us to have faith and trust in him and I believe that in the process of having faith and trusting Him deeper, He wants us to learn to find His joy. The quicker we grasp this principle, the more gratifying the journey will be. Can you share a time when you found joy in a difficult situation or in a situation that was out of your comfort zone? Special note: During the Christmas season, many people struggle with finding joy due to loss, being away from home, financial hardships, etc. Share this blog with those you know need the comfort of knowing God’s joy. Stay connected for special Christmas posts that will include FREE desktop and mobile downloads! Thank you to my good friend Natalie Fernandez for proofing my blog. I love this post! Thank you for The reminder to always strive to find joy in all things. Thanks Gis! Glad you liked! Not every season is filled with happiness and joy. But no matter what I am choosing to be joyful, at least I will try my hardest lol not very easy sometimes. Life is not easy but with Christ it is possible. Wow I love this! This post is seriously something that everyone can relate to. It’s inspiring to hear how you’ve been able to pull through and find joy even in the your hard times. Thank you for always living a life that encourages me! Thanks Nivi! Glad it blessed you! Theresa, what an amazing message! Thank you for blessing me. You know, whether it’s a husband or a child or a friend, we can always choose joy. I can tell you I have not always done this, partially for not knowing how and partially for lack of wisdom. God has really worked on me, thank goodness. Today, I can choose joy! So proud of you!! !